These days everyone has electronics. Make sure that you have the power they need for the duration of your trip; especially if they have information you need access to in the backcountry. 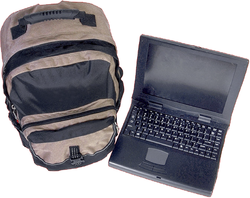 Don’t rely on having internet connectivity while camping. Make sure that any apps that you plan on using (like maps, navigation aids, etc.,) will work offline. As smart phones have become more capable much of the information that we previously carried in our heads, or in a book, has migrated to apps or online sites. This is a double edged sword since depending on a device that can lose its connection to the internet, run out of power, get wet and fail, or break can be dangerous. However, the reality is that everyone has a smart phone – so the question is how to embrace the technology in a smart way. We try to balance the issue by knowing and practicing all of the basic everyday skills that you need in the backcountry (e.g. routine knot tying, routine navigation, basic First Aid, etc.,) and leveraging the apps (and sites when connected) for deeper and non-routine knowledge. The criteria that we use to evaluate smart phones are: 1) memory size, 2) processor speed, 3) fragility and 4) price. No one that we know specifically bought their smart phone for hiking or camping, but lots of people bought a more rugged phone case to specifically put their phone in while they are in the backcountry. We’ve found that when you buy a phone buying the largest amount of memory storage is preferable since it allows you to store more apps – especially since they seem to get larger every month. We carry an iPhone 6s loaded with the apps listed on the Hiking and Camping main pages. One word of caution, make sure that you know which of your apps can work offline by testing them in the “airplane” mode while you are at home. If you don’t you could be in for a nasty surprise. Also remember to take your charger since most phones will run out of power after a couple of days in the backcountry. You can buy iPhones at Amazon or your local Apple and phone stores. When we are hiking we only take our smart phone, but when we are camping we normally take our tablet too. Although this adds extra weight, since it is larger it allows us to look at maps in more detail, to identify animals, birds and plants better and to have an more readable platform for all sorts of other information apps (e.g. cooking, recipes, First Aid instructions, etc.,). The criteria that we use to evaluate tablets are the same as we use for smart phones: 1) memory size, 2) processor speed, 3) fragility and 4) price. 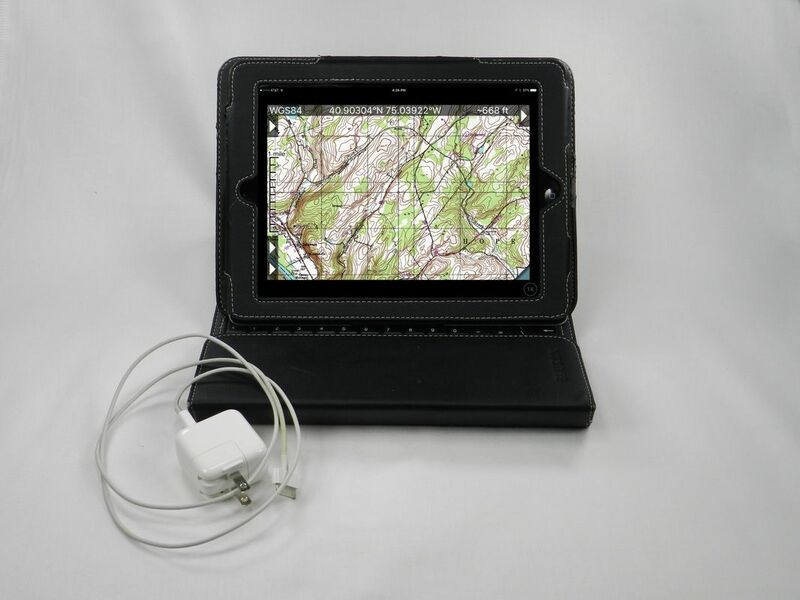 For compatibility we use an iPad with a leather Blurex case that wraps around it for protection and folds out to act as a stand when needed. The difference is that on our iPad we have more apps loaded – especially those that are more visually rich - as detailed on the Hiking and Camping main pages. Remember to take your charger since you will probably need to recharge your tablet during your adventure. You can buy iPads at Amazon or your local Apple Store. If you are taking electronics into the wilderness then you are going to need power. Like water and light we use a ‘tiered” system for power. The first tier is that you should fully charge your electronic and lighting devices before you leave home. But the unfortunate reality is that the power never last as long as you think it will or need it to. So our second tier is to use rechargeable USB battery packs when our devices lose their initial charge. The criteria that we use to evaluate USB battery packs are: 1) power storage capacity, 2) size, 3) weight, 4) sturdiness and 5) price. To simplify our needs we’ve tried to make sure that all our rechargeable gear is gear that can be recharged via USB connections. 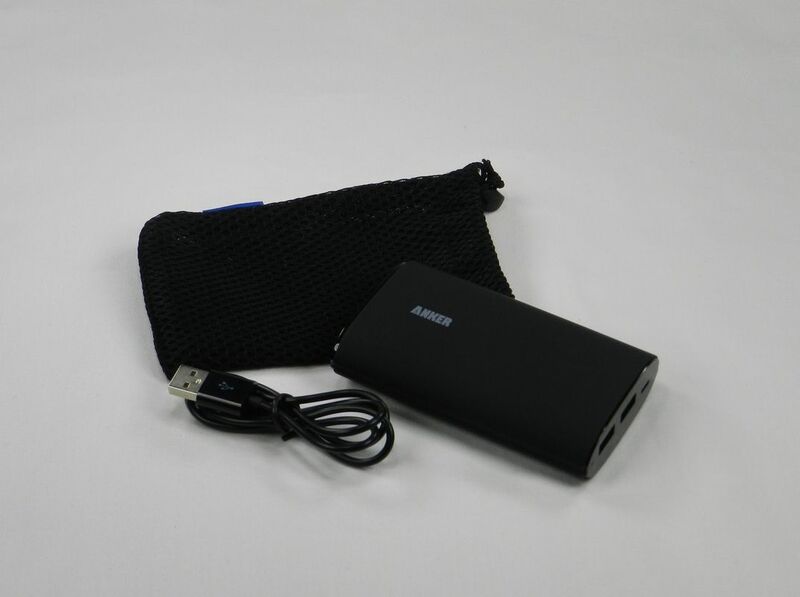 Then, we purchased two Anker 2nd Gen Astro2 9600mAh 2-Port 3A External Battery Power packs to charge up at home and take out with us. Each of these rechargeable battery packs can recharge our iPhone four times, can simultaneously connect two devices (although this makes the recharging time longer), is 2.6" x 4.2" x 1", weighs 8.8 oz and is specifically made to withstand bumps and drops. You can buy the most recent version of these battery packs at Amazon. If we are out for a few days even the power in our Anker battery packs won’t last us. So we have a third tier for power; a solar panel that will recharge USB devices. 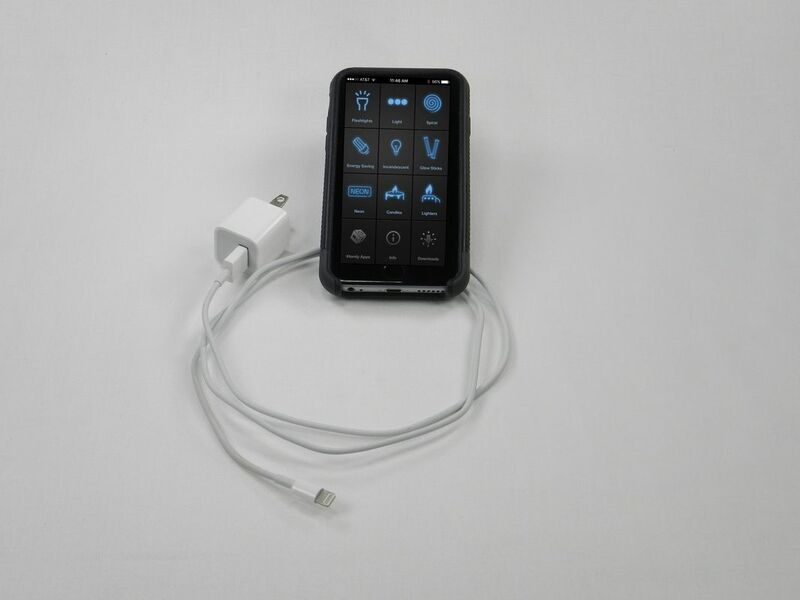 The criteria that we use to evaluate solar panel rechargers are: 1) USB compatibility, 2) power efficiency, 3) power output, 4) size, 5) weight, 6) fragility, 7) design and 8) price. 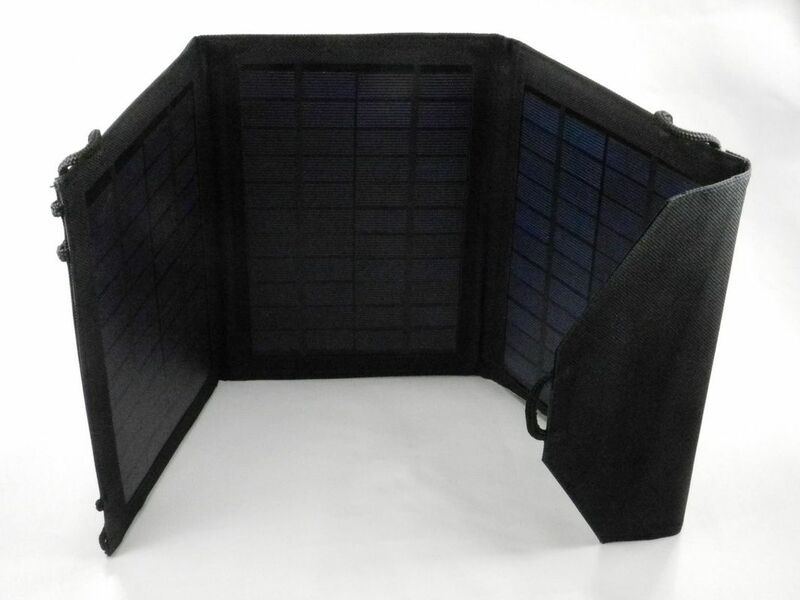 We like the Instapark 10 Watt Solar Panel Portable Solar Charger because it can output 10 watts of power (given the right sun conditions), can connect to two USB devices, has built in loops for hanging, folds up into a compact and well protected package, measures only 9” x 6” x 2” and weighs only 1 lb. You can buy this solar charger at Amazon. Although we try to make sure that most of our electronic devices and lights are USB rechargeable, not all of them are. So our fourth tier of power is batteries. Once again we try to keep things common so we only buy and carry one brand at a time. 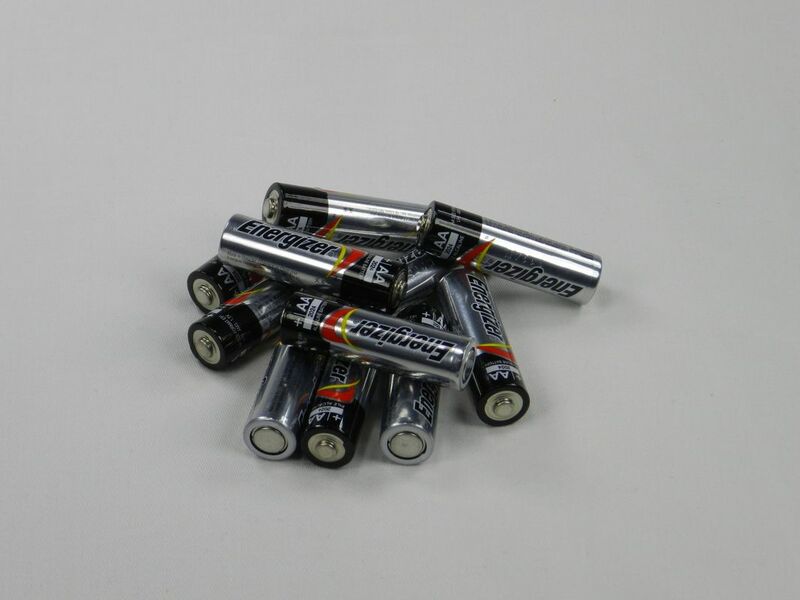 In the sense of “you get what you pay for” we have found that cheap batteries are not worth the savings. So we always use either Energizer or Duracell batteries and buy them in the 24-packs to make them more affordable. Batteries can be heavy – but not having them can be worse. You just have to look for the right balance. You can buy these batteries at Amazon. 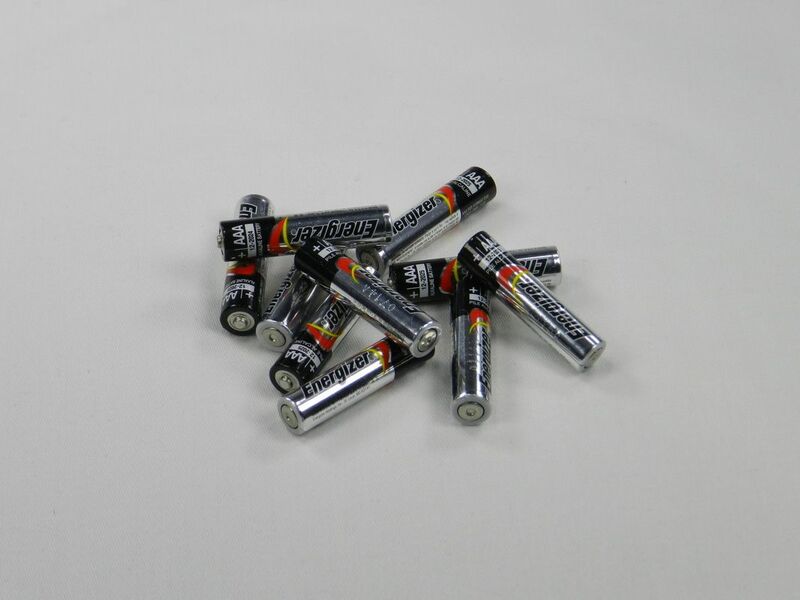 Like the AA batteries we always carry a few extra AAA batteries based on the devices we are taking and how long we will be out. Even when we find that we don’t need the batteries we often find other people on the trails that do. You can buy these batteries at Amazon.